Knihy jsou seřazeny do jednotlivých kategorií a očíslovány dle osobních preferencí autora webu. 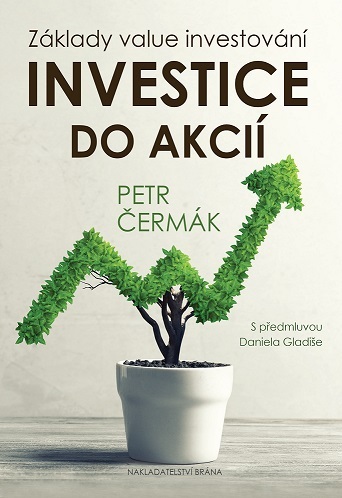 Jedná se primárně o knihy zaměřené na value investování. Začínajícím investorům, kteří dosud nečetli žádnou z níže uvedené literatury, doporučuji začít knihami v sekci „Value investování“ s číslem 1, 2, 3, 4, kde se investor seznámí s filosofií value investování. Následně je vhodné zaměřit svou pozornost na strukturu finančních výkazů a základní principy účetnictví (ze začátku např. kniha v sekci „Účetnictví“ s číslem 1 či prozkoumat volně dostupné materiály a videa o účetnictví na internetu), což je nezbytná podmínka pro správné ocenění akcie. Jakmile čtenář vstřebá filosofii value investování a zná řeč čísel, může se zaměřit na metody oceňování firem. V sekci „Ocenění akcií“ doporučuji začít knihou 1. Tato posloupnost by měla být zárukou vybudování rozumných základů, na nichž může investor dále stavět. Graham, Benjamin: Inteligentní investor, Grada Publishing, 2007, 504 s.
Montier, James: Value Investing: Tools and Techniques for Intelligent Investment, John Wiley & Sons, 2009, 424 s.
Cunningham, Lawrence A.: The Essays of Warren Buffett: Lessons for Corporate America, The Cunningham Group & Carolina Academic Press, 2015, 328 s.
Greenwald, Bruce C. N. – Kahn, Judd – Sonkin, Paul D.: Value Investing: From Graham to Buffett and Beyond, John Wiley & Sons, 2004, 320 s.
Mihaljevic, John: The Manual of Ideas: The Proven Framework for Finding the Best Value Investments, Wiley; 1 edition (August 12, 2013), 336 s.
Whitman, Martin J.: The Aggressive Conservative Investor, John Wiley & Sons, 2005, 486 s.
Fisher, Philip A.: Common Stocks and Uncommon Profits and Other Writings, John Wiley & Sons, 2003, 320 s.
Bos, Jeroen: Deep Value Investing, Harriman House Ltd., 2013, 195 s.
Heins, John – Tilson, Whitney: The Art of Value Investing: How the World’s Best Investors Beat the Market, John Wiley & Sons, 2013, 336 s.
Damodaran, Aswath: Damodaran on valuation, John Wiley & Sons, 2006, 696 s.
Whitman, Martin J. – Diz, Fernando: Modern Security Analysis: Understanding Wall Street Fundamentals, John Wiley & Sons, 2013, 501 s.
Piper, Mike: Accounting Made Simple: Accounting Explained in 100 Pages or Less, Simple Subjects, LLC (2013), 114 s.
Ittelson, Thomas: Financial Statements: A Step-by-Step Guide to Understanding and Creating Financial Reports, Career Press, 2 edition (August 15, 2009), 288 s.
Shim, Jae K. – Siegel, Joel G. – Dauber, Nick – Qureshi, Anique A.: Accounting Handbook (Barron’s Accounting Handbook), Barron’s Educational Series; 6 edition (November 1, 2014), 1072 s.
Schilit, Howard – Perler, Jeremy: Financial Shenanigans: How to Detect Accounting Gimmicks & Fraud in Financial Reports, McGraw-Hill Education; 3rd edition (May 5, 2010), 336 s.
Marks, Howard: The Most Important Thing Illuminated: Uncommon Sense for the Thoughtful Investor, Columbia University Press, 2013, 248 s.
Greenblatt, Joel: You Can Be a Stock Market Genius: Uncover the Secret Hiding Places of Stock Market Profits, Touchstone, 1999, 304 s.
Greenwald, Bruce C. N.: Competition Demystified: A Radically Simplified Approach to Business Strategy, Penguin Group, 2007, 416 s.
Swensen, David F.: Pioneering Portfolio Management: An Unconventional Approach to Institutional Investment, Free Press; Revised, Updated edition (January 6, 2009), 432 s.
Dreman, David: Contrarian Investment Strategies: The Psychological Edge, Free Press, 2012, 496 s.
Napier, Russell: Anatomy of the Bear: Lessons from Wall Street’s Four Great Bottoms, Harriman House, 2007, 304 s.
Shearn, Michael: The Investment Checklist: The Art of In-Depth Research, Wiley; 1 edition (November 8, 2011), 384 s.
Greenwald, Bruce C. N.: The Value Investors: Lessons from the World’s Top Fund Managers, Wiley; 1 edition (September 11, 2012), 250 s.
Train, John: Money Masters of Our Time, HarperBusiness, 2003, 400 s.
Schroeder, Alice: The Snowball: Warren Buffett and the Business of Life, Bantam; Updated edition (October 27, 2009), 832 s.
Bernstein, Peter L.: Against the Gods: The Remarkable Story of Risk, John Wiley & Sons, 1998, 400 s.
Bernstein, Peter L.: Capital Ideas, The Free Press, 1992, 340 s.
Bogle, John C.: Common Sense on Mutual Funds: Fully Updated 10th Anniversary Edition, John Wiley & Sons, 2009, 656 s.
Bogle, John C.: The Little Book of Common Sense Investing: The Only Way to Guarantee Your Fair Share of Stock Market Returns, John Wiley & Sons, 2007, 216 s.
Brandes, Charles: Value Investing Today, McGraw-Hill, 2003, 208 s.
Buffett, Mary: The New Buffettology, Simon & Schuster, 2002, 288 s.
Carlisle, Tobias E.: Concentrated Investing: Strategies of the World’s Greatest Concentrated Value Investors, John Wiley & Sons, 2016, 256 s.
Carlisle, Tobias E.: Deep Value: Why Activist Investors and Other Contrarians Battle for Control of Losing Corporations, John Wiley & Sons, 2014, 240 s.
Cunningham, Lawrence A.: Berkshire Beyond Buffett, Columbia University Press, 2014, 307 s.
Cunningham, Lawrence A.: Quality Investing: Owning the best companies for the long term, Harriman House, 2016, 224 s.
Cunningham Group & Carolina Academic Press, 2015, 328 s.
Einhorn, David: Fooling Some of the People All of the Time, John Wiley & Sons, 2010, 448 s.
Gladiš, Daniel: Akciové investice, Grada Publishing, 2015, 176 s.
Gladiš, Daniel: Naučte se investovat, Grada Publishing, 2005, 176 s.
Graham, Benjamin – Dodd, David L.: Security Analysis, McGraw-Hill Education, 2008, 700 s.
Gray, Wesley – Carlisle, Tobias E.: Quantitative Value, + Web Site: A Practitioner’s Guide to Automating Intelligent Investment and Eliminating Behavioral Errors, John Wiley & Sons, 2012, 288 s.
Hagstrom, Robert G.: Investing: The Last Liberal Art, Columbia University Press, 2013, 216 s.
Hagstrom, Robert G.: The Warren Buffett Portfolio: Mastering the Power of the Focus Investment Strategy, John Wiley & Sons, 1999, 256 s.
Hagstrom, Robert G.: The Warren Buffett Way, John Wiley & Sons, 2005, 272 s.
Kahneman, Daniel: Thinking, Fast and Slow, Farrar, Straus and Giroux, 2013, 499 s.
Lefèvre, Edwin: Reminiscences of a Stock Operator, John Wiley & Sons, 2006, 288 s.
Lynch, Peter: Beating the Street, Simon & Schuster, 1994, 336 s.
Lynch, Peter: One Up On Wall Street: How To Use What You Already Know To Make Money In The Market, Simon & Schuster, 2000, 304 s.
MacKay, Charles: Extraordinary Popular Delusions and The Madness of Crowds, CreateSpace Independent Publishing Platform, 2013, 410 s.
Montier, James: Value Investing: Behavioural Investing: A Practitioners Guide to Applying Behavioural Finance, John Wiley & Sons, 2007, 728 s.
Montier, James: Value Investing: The Little Book of Behavioral Investing: How not to be your own worst enemy, John Wiley & Sons, 2010, 236 s.
O’Shaughnessy, James: What Works on Wall Street, Fourth Edition: The Classic Guide to the Best-Performing Investment Strategies of All Time, McGraw-Hill Education, 2011, 704 s.
Pabrai, Mohnish: The Dhandho Investor: The Low-Risk Value Method to High Returns, John Wiley & Sons, 2007, 208 s.
Shiller, Robert J – Akerlof, George A.: Animal Spirits: How Human Psychology Drives the Economy, and Why It Matters for Global Capitalism, Princeton University Press, 2010, 264 s.
Shiller, Robert J.: Irrational Exuberance, Princeton University Press, 2015, 392 s.
Schilit, Howard – Perler, Jeremy: Financial Shenanigans: How to Detect Accounting Gimmicks & Fraud in Financial Reports, McGraw-Hill Education, 2010, 336 s.
Schroeder, Alice: The Snowball: Warren Buffett and the Business of Life, Bantam, 2009, 832 s.
Soros, George: The Alchemy of Finance, John Wiley & Sons, 2015, 391 s.
Spier, Guy: The Education of a Value Investor: My Transformative Quest for Wealth, Wisdom, and Enlightenment, St. Martin’s Press, 2014, 224 s.
Swensen, David F.: Unconventional Success: A Fundamental Approach to Personal Investment, Free Press; 1 edition (August 9, 2005), 403 s.
Taleb, Nassim Nicholas: Antifragile: Things That Gain from Disorder, Random House Trade Paperbacks, 2014, 544 s.
Taleb, Nassim Nicholas: Fooled by Randomness: The Hidden Role of Chance in Life and in the Markets, Random House Trade Paperbacks, 2005, 368 s.
Taleb, Nassim Nicholas: The Black Swan: Second Edition: The Impact of the Highly Improbable, Random House Trade Paperbacks, 2010, 444 s.
Thorp, Edward O.: A Man for All Markets: From Las Vegas to Wall Street, How I Beat the Dealer and the Market, Random House, 2017, 416 s.
Whitman, Martin J. – Diz, Fernando: Distress Investing: Principles and Technique, John Wiley & Sons, 2009, 272 s.